CBSE Class 12 Psychology paper was held today and according to teachers and students, this humanities stream exam was an easy paper for most. Class 12 Sociology paper will be held on April 10. CBSE Class 12 Psychology paper was held today and according to teachers and students, this humanities stream exam was an easy paper for most. "The cbse psychology paper of 2018 was a simple, well-structured paper with direct easy to understand concept based questions in all sections," Sunita Panchanathan, PGT psychology, Army Public School Delhi Cantt told NDTV. Ms Panchanathan also said the students would be able to score good marks with today's paper. She also said the paper did not carry any situational or applied questions in any sections. Apart from Psychology, CBSE conducted class 12 exams of AC & Refrigeration-IV, Laboratory Medicine, Advanced Front Office Operations, Olericulture, Business Operation and Administration, Basic Pattern Development, Taxation, Insurance, Trouble Shooting and Maintenance of Community Development and Derivative Market Operations today. Tomorrow, the board will conduct Class 12 Political Science paper while the exams will be concluded on April 13 with Physical Education. Meanwhile, the Supreme Court of India dismissed five petitions challenging the Class 12 Economics re-examination deceision by the board. The CBSE on March 30 has announced a re-examination of Class 12 economics paper after an alleged leak was reported last week. The apex court said it is the discretion of the CBSE to conduct the re-examination and can't be challenged in the court. "In the writ petition, we cannot order the CBSE to not to hold the re-examination. 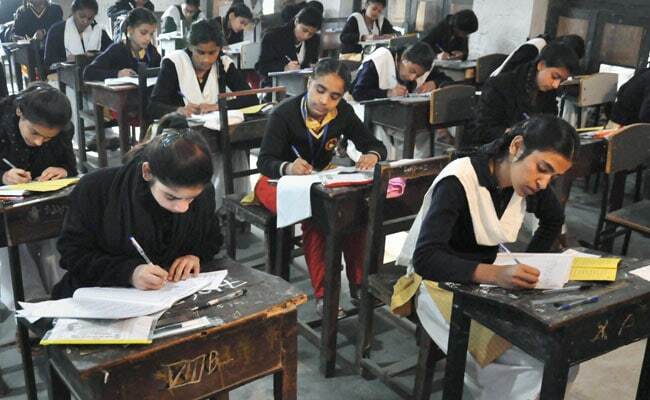 This is not the jurisdiction of this court to direct the CBSE not to conduct the examination. It is the discretion of the CBSE or the concerned authority," it said.